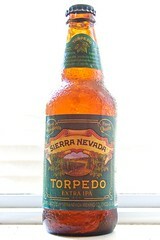 I love the aroma of the Citra hops that really hits you when you open this bottle. As expected, high on the bitterness scale but no bad aftertaste that sticks around, at least not after one bottle. Not sure this would work as a session beer, but one or two to start the night or over a meal would work well.